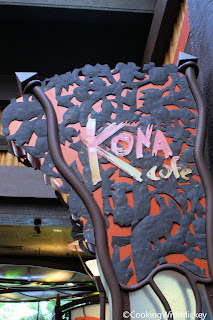 Kona Cafe at Disney's Polynesian Resort serves this extremely popular breakfast item. This open air restaurant is warm and colorful and for breakfast serves both sweet and savory items. Can't get a reservation to have this delicious treat? Head over to Captain Cook's, this food court at the Polynesian also serves this during breakfast hours. Whip eggs in medium bowl (large enough to dip toast) until well beaten. Add milk, cinnamon, and sugar. Mix well and set aside.